Sage Publications Pvt. Ltd, 9780761935803, 308pp. Based on over 150 interviews with journalists, readers, publishers, politicians, administrators, and activists, as well as expert content analysis, this book tells the ongoing story of the press in the Hindi heartland. 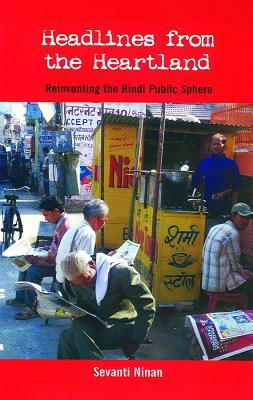 Against the backdrop of the relationship between press and society, author Sevanti Ninan describes the emergence of a local public sphere; reinvention of the public sphere by the new non-elite readership; the effect on politics, administration, and social activism; the consequences of making newspapers reader rather than editor-led; the democratization of the Hindi press with the advent of village-level citizen journalists; and the impact of caste and communalism on the Hindi press.